While Los Angeles is best known for its movie history, it has a rich music history too, and there is no better place to experience that then at The GRAMMY Museum. The museum showcases the histories of all kinds of music, and also has exhibits on the process that goes into making music. It has special sections for major artists such as Michael Jackson and Elvis Presley. 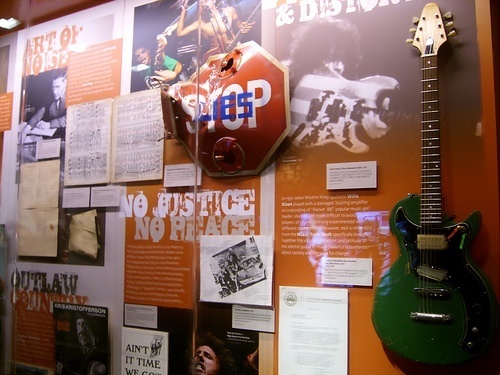 Many of the exhibits at The GRAMMY Museum are interactive. Visitors are able to use technology like touch screens to navigate through countless genres of music, and you can even see what it's like to be at the Grammys thanks to the The GRAMMY Experience, a film shot backstage at the 50th Annual GRAMMY Celebration. If you want to bring a part of music history home with you, there's a brilliant gift shop available too. This museum is an absolute must for anyone who is passionate about music. Last updated by Marianne on 10 November, 2010 in Destinations.